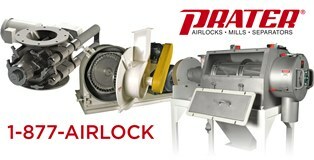 Prater offers a variety of processing equipment for particle size reduction, enlargement, feeding and separation such as rotary airlocks and valves, fine grinders, air classifying mills, lump breakers, sifters, air classifiers, hammermills and more. All Prater equipment, parts and systems are built to provide years of reliable, low maintenance service. Prater also offers experienced on-site technical services for start-up, troubleshooting and preventative maintenance. Prater maintains a fully equipped testing lab for toll services. Toll processing is a service offered by Prater Industries for companies that have a need for product market testing, emergency production, or product development without the financial commitment for equipment and labor. These toll processing services allow for quick turn-around in order to provide you with the finished product that you need. Every Prater product begins with your application in mind to delivery perfectly matched performance. Prater equipment has met the needs of customers in over 160 countries for the past 90 years.